Sunday’s Bird Walk: Dress Real Warm! Sunday's bird walk should be a blast — of freezing air. Please dress accordingly. 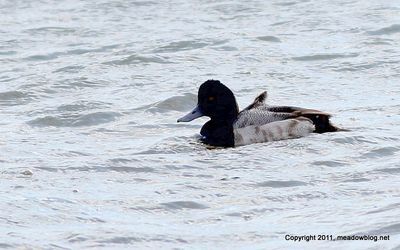 Even the ducks, like this Lesser Scaup seen Friday, are bundling up. Details on walk are here.